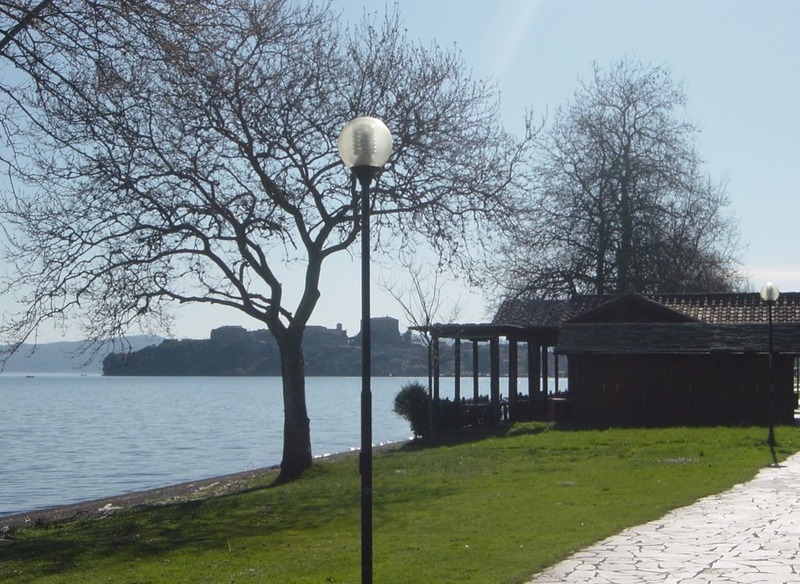 Capodimonte, is a small town on the southern shores of the majestic lake Bolsena in northern Lazio and nestled between Tuscany to the north, Umbria to the east, Rome to the south and the Mediterranean to the west. I know that there is also Capodimonte porcelain and a Capodimonte Museum in Naples. Some people I’ve met, know about the Naples Capodimonte, but not the Lazio one. Hence my idea to write this specific post about this quaint town. Although it is hard to know where to start as I am not looking at the place with fresh eyes. In the past I was one of the residents. My school run involved dropping off my kids at elementary school until we moved into our house and then they caught the school bus. I can tell you that when I was living there I was glad for the town that during the summer months the numbers of people multiplied by many, but was grateful that during the colder months the residents got the village back. 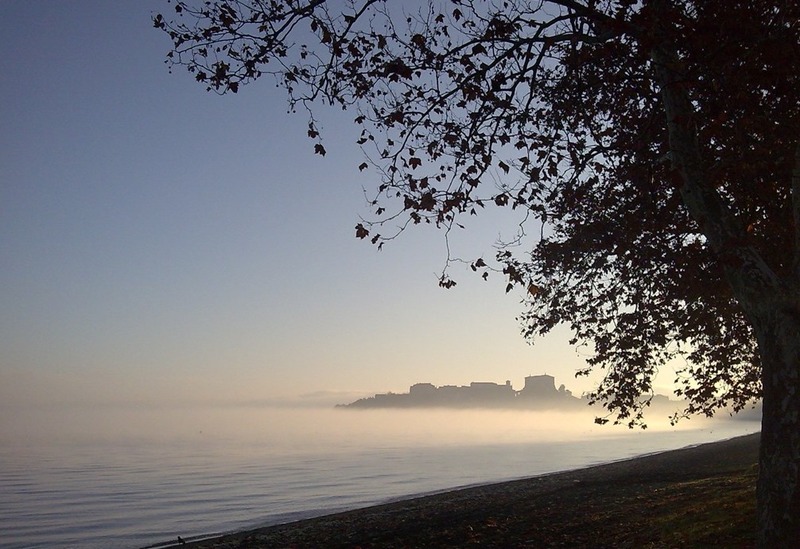 There are certainly moments when I miss the fact that I would often start the day by riding into town on my bike along the shoreline of the lake and sometimes catch the above mentioned site of the historic centre bathed in fog. I’d buy a loaf of bread from the bakers, maybe a few things from the alimentari and then cycle back home again. 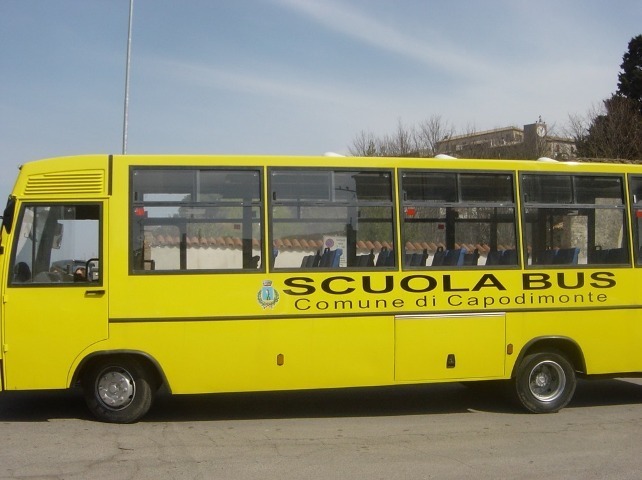 Italians may know about this place and visit in the height of summer, but it is still rather off the tourist track in terms of English speaking tourists. Maybe it will never be overrun with heaps of tourists and to me that probably isn’t a bad thing. This entry was posted in Expat, Italy, Travel and tagged Capodimonte, Lazio by Cathy Powell. Bookmark the permalink.